Kale is closer to the wild cabbage. It is a leafy vegetable with a central stem and alternating leaves that do not form a head. The leaves are curly at the margins and the vegetable has a stronger flavour and coarser texture compared to the more delicate cabbage. It doesn’t shrink when cooked as much as other greens (spinach). Kale is a hardy plant. It can be left in the ground over winter and its flavour, actually improves with frost. Kale freezes well and tastes sweeter and more flavourful after being exposed to frost. Colour of leaves: The most common variety is deep green but other kales are yellow-green, red or purple with plain or ruffled leaves. Coloured varieties are sometimes called salad savoy and are also often grown for ornamental purposes but are edible. 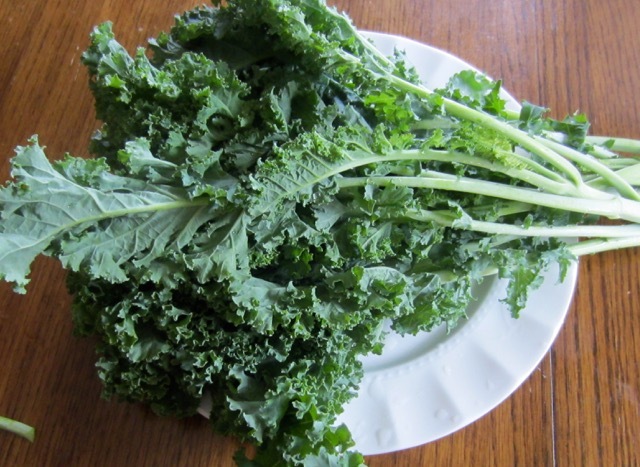 Common types of kale include: Scots Kale, Blue Curled Kale, Cavolo nero (Black cabbage, Tuscan cabbage, Tuscan Kale or dinosaur Kale), portuguese kale, marrow stemmed kale. In the Western world the leaves are mostly processed and frozen or canned. Tender Kale leaves: are good for salads. 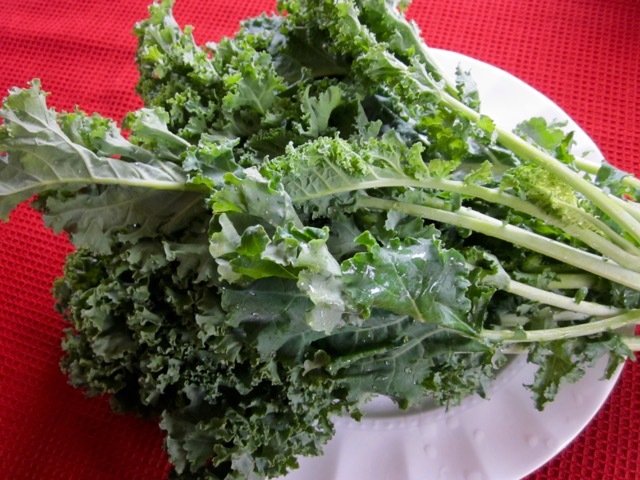 Kale can be baked or dehydrated to give consistency of potato chip. In the Netherlands, kale is used in traditional dish ‘stamppot’ which is a mix of vegetables and mashed potatoes, sometimes with fried bits of bacon served with rookworst (smoked sausage). In Ireland a traditional dish, Colcannon, consisting of Kale (or cabbage) and mashed potatoes is served with sausage during halloween. 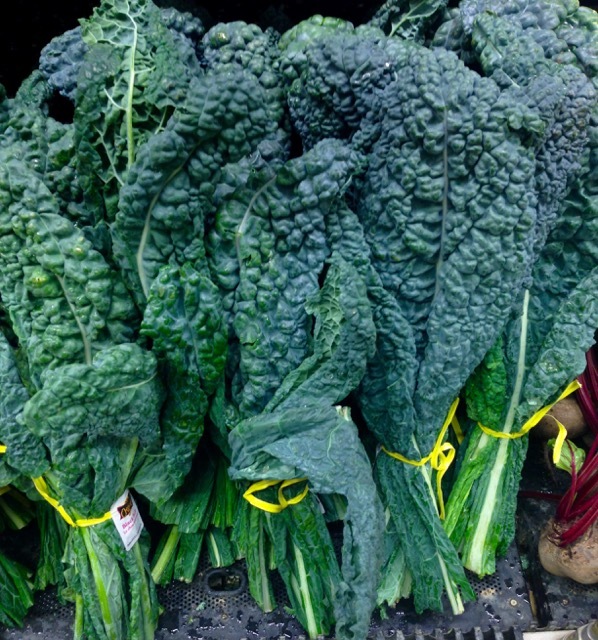 In Italy, Lacinato covolo nero (black kale, Tuscan Kale) is used as an ingredient in Tuscan soup ribolita. In Portugal kale leaves are used to prepare a traditional dish ‘Caldo Verde, a thick, dark green soup. This soup is also made in Angola and Mozambique, in Africa. In East and Southern Africa, the thick midribs and petioles are removed then the leaves are shredded and cooked with other ingredients like onions, tomatoes, garlic, hot peppers and sometimes ground peanut or ground sesame is added too. In East Africa, kale it is an essential ingredient in making a stew for ugali, which is almost always eaten with kale and, beef or chicken stew. In South Africa. kale with coconut milk and ground peanuts is served with rice or cornmeal. 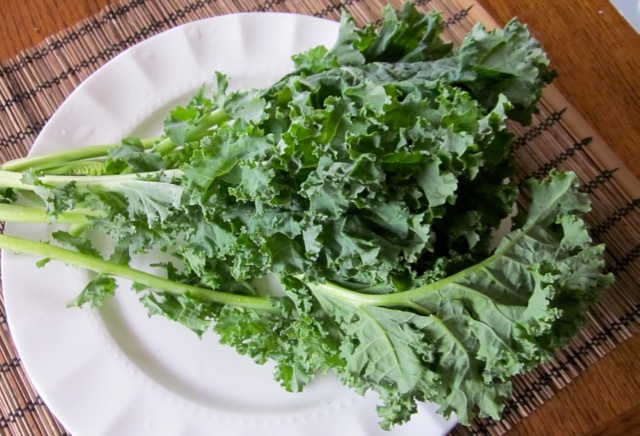 In Southern USA kale is braised alone, or mixed with other greens e.g. collard , mustard or turnip. Kale leaves can also be dried and used later (Africa). Leaf cabbages like Kale contain high levels of glucosinolates, which during preparation form compounds with antioxidant and anticancer activities. Experiments showed, some of these compounds inhibited cancer growth, some blocked cancer causing compounds and other prevented formation of carcinogens. Prev What is the Difference Between Split Peas and Lentils? I love kale, you can let it dry in the oven and sprinkle some olive oil and salt on it for extra flavor! It’s a keto staple when the chips cravings kick in. Didn’t know it had that much vitamin C, time for some natural kale chips tonight. I’m glad there are kale lovers out there, like me. At what temperature do I let it dry in the oven and for how long? Ha they are probably adding some other ingredients or maybe they have special equipment. Ha ha! I’ve just googled some random packets, they have lots of oil and 28g of this stuff has 140 calories….wow! Have a great day! Steamed kale sbout every ten days in our household. Want to try kale chips. It’s good stuff! Good luck with the kale chips. I’ve never tried it. I love eating Kale. Ave now adjusted my diet to include Kale 3-4 times a week. Lots of vitamin K and C. I also love broccoli. We have it at least 2-3 times a week. Have a very pleasant day. I know that kale has developed a bad reputation because it’s become a hipster food but I like it. I like a kale slaw which I stir-fry and add horseradish cream for flavour. I love love Kale, sauteed with butter with garlic and other spices. I eat it very often! Ha I had kale last night, as a side, besides mac n cheese, strange combi but so good! Sounds great to me Liz.